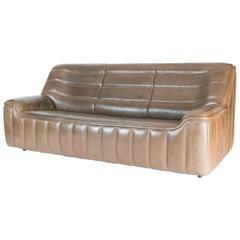 Rare 3-seat sofa model DS-47 designed by designteam at de Sede. Produced by de Sede in Switzerland. Model DS-17 in saddle/cognac leather. Beautiful condition. Legs can be replaced with wood if desired. They screw on. 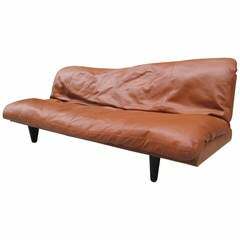 Rare three-seat sofa model DS-12 designed by designteam at De Sede. Produced by De Sede in Switzerland. 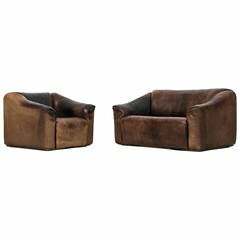 Matching easy chair and two-seat sofa is also available. Rare two-seat sofa and easy chair model DS-47 designed by design team at De Sede. Produced by De Sede in Switzerland.